Use the Browse drop down menu to find our course availability. All IRATA Levels are available on each course at our Welshpool facility. This online booking system accepts VISA and MasterCard. The 5 day course is $1,750. Payment in full is required to secure your place, deposits cannot be accepted. Unfinished registrations will not guarantee your place on your chosen course. Once your booking is finalised and payment is completed you will receive your course confirmation and tax receipt via email. Neptune Asset Integrity Services has established training facilities to train personnel to the IRATA standard. The facilities are set up with the specific requirements of industry, both onshore and offshore. The facilities imitate the scenarios a rope access technician will come across in the course of work in a challenging industrial environment. Before you undertake a training course, please consider carefully what additional skills you have to offer to a potential employer, as ability in rope access only may not be enough to secure employment. The course also requires a high level of fitness as it is physically demanding. All training will be undertaken by an experienced Level 3 instructor and an independent assessor will assess trainees on the final day of the course. 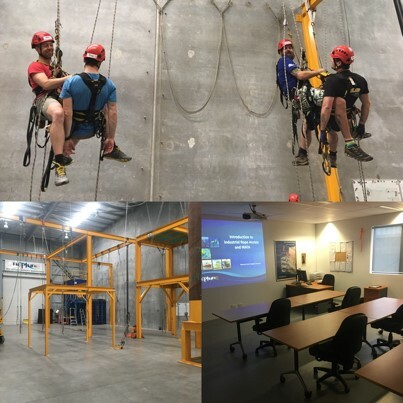 Candidates are reminded that IRATA courses are skills based and the required skill is to be demonstrated to the independent assessor during the assessment session to achieve an award in the level of rope access being assessed.